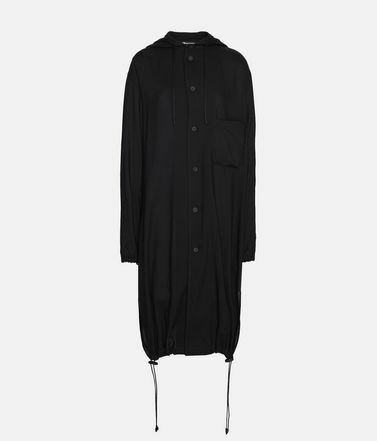 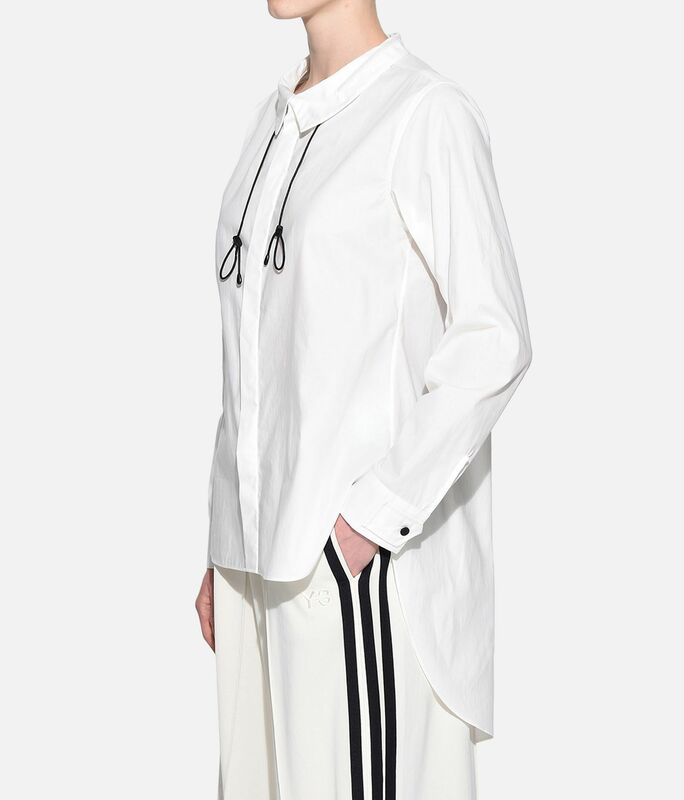 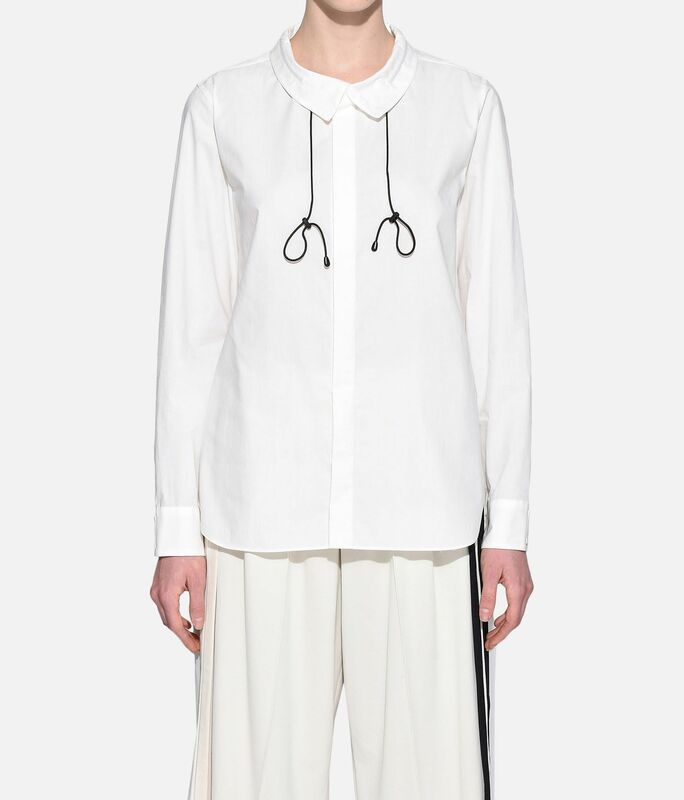 Sophisticated detail articulates the loose design of Y-3 Tie-Cord Shirt. 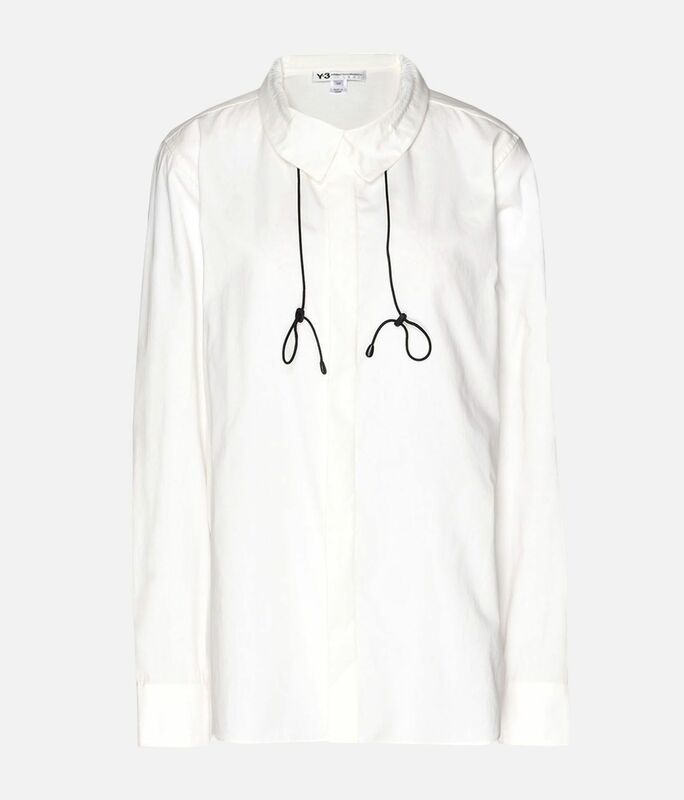 Crafted of premium cotton, the button-up shirt gathers at the collar with contrasting elastic accents and has adjustable cuffs. 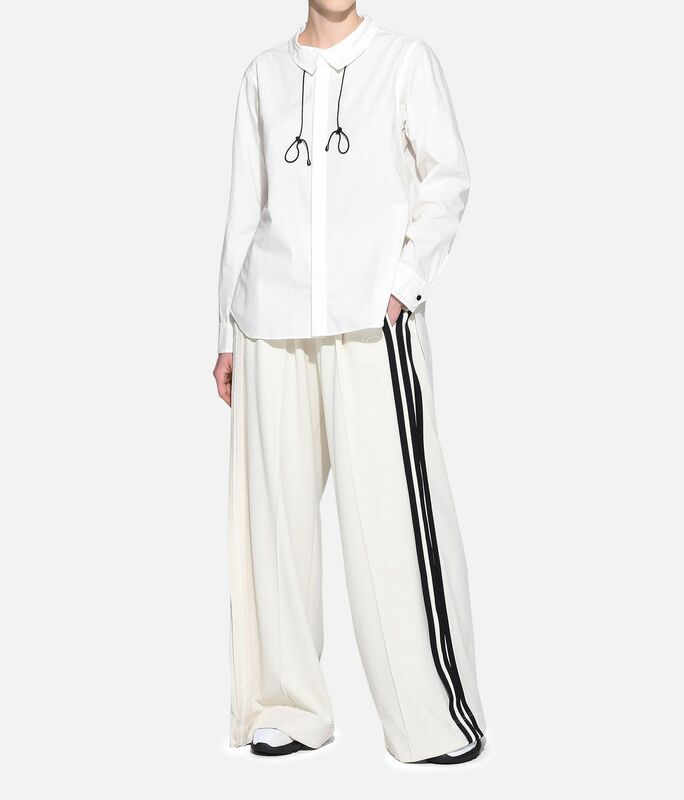 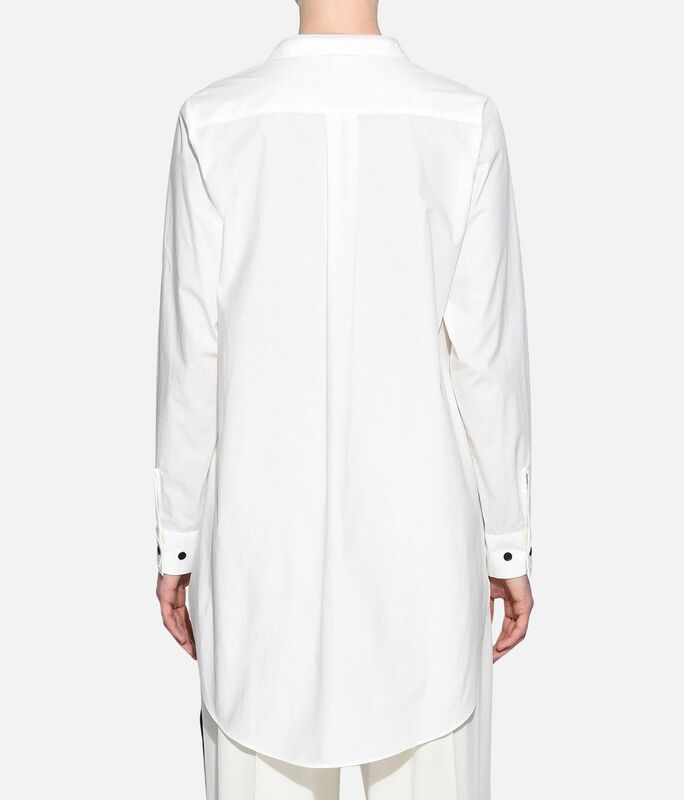 The elongated back hem adds a modern element to the minimalist look.